← Kate in Mojo Magazine cover feature! Greg Coulton illustrated an article on Kate’s return to the live stage in the Independent Magazine in the UK last weekend. You can read the full article here. After considerable interest from fans, he is now offering prints of the artwork for sale. Details of how to purchase them can be found here. 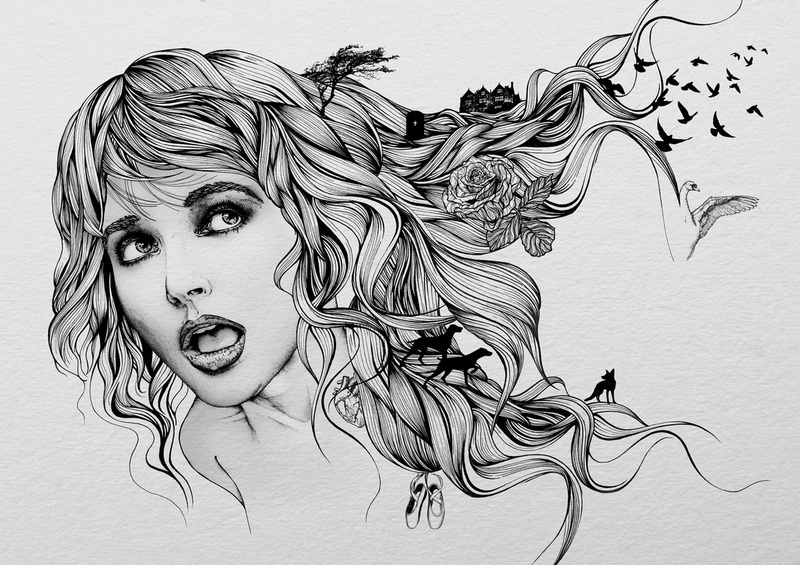 Greg has a gallery of how the illustration came together on his site here. 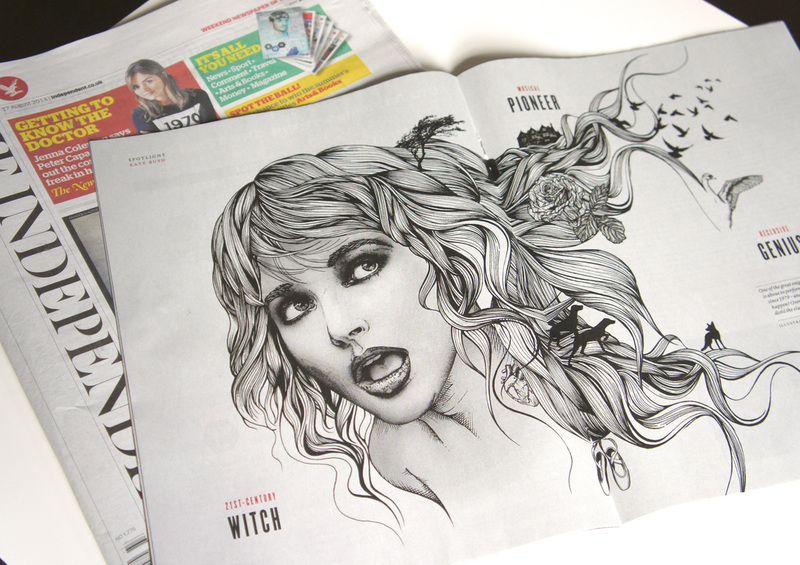 Beautiful illustration but I don’t really think it looks like Kate to be honest, almost pornographic… And 21st Century Witch? Yawn… The hounds and the fox are a nice touch and the swan.